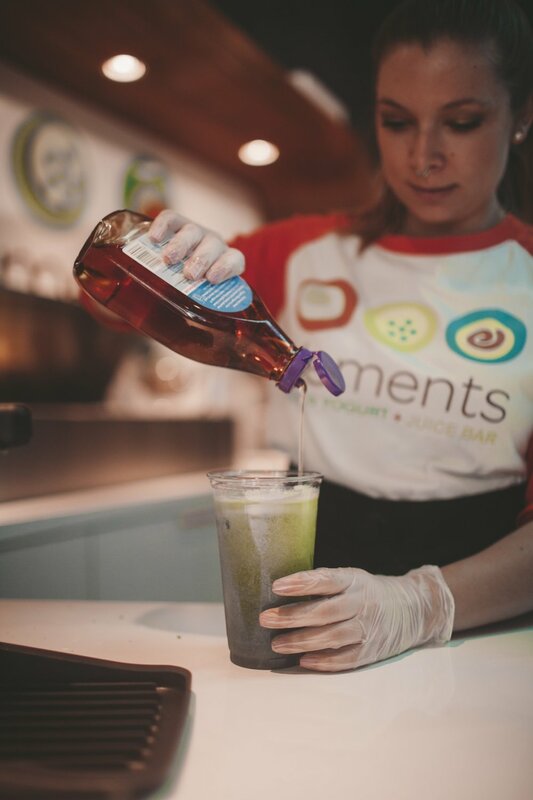 THERE’S SOMETHING FOR EVERYONE AT ELEMENTS. We’ve owned and operated Elements and its sister company, Anthem Coffee, for almost seven years. We believe in treating all our customers like family, while providing fresh and delicious food and beverages for everyone who walks through the door. Here at Elements we are excited to partner with local non-profits through our TAKEOVER programs. During a takeover a portion of all profits will be shared with the featured company of the week. It’s our way of saying thanks for all the great work that you do in our community! FOR MORE INFORMATION, VISIT OUR TAKEOVERS PAGE.